Water has an amazing attraction to bewitch the spectator and you never know what you’ll find out on an ocean sail; a whale breaching, a seal trying to make you friend, or a lost Labrador puppy. 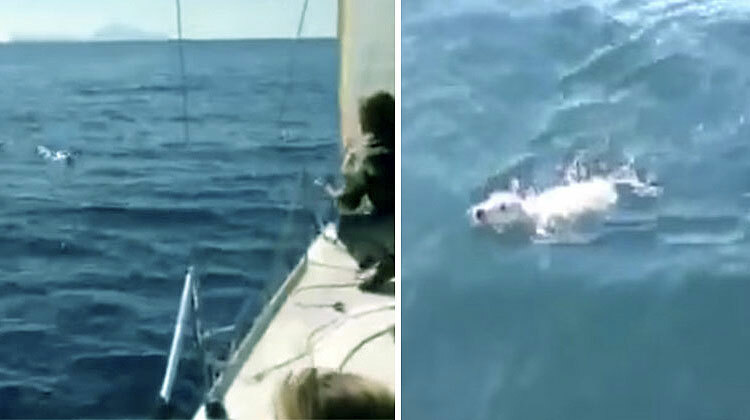 Incredible isn’t it but you can’t expect a waterlogged puppy doing its best to stay afloat in the Gulf of Naples. 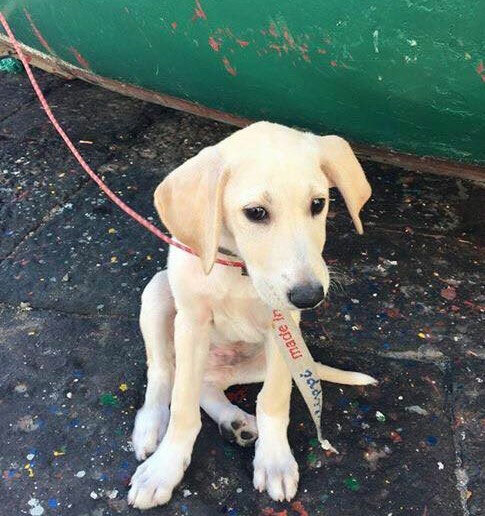 Its owner, Mario Di Meglio, had picked up three-month-old lab and while they were on their way home the puppy, Noodle, fell off the ferry. Frantic yet the owner alerted the crew on a particular boat in no time, seeing his dog struggling in the water and had almost drowned, they refused to stop. 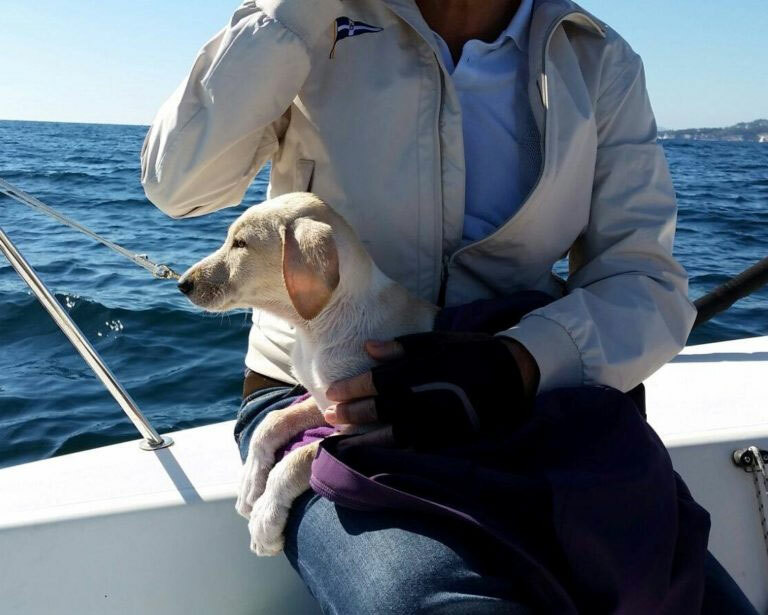 On the same afternoon, unexpectedly, members of the RYCC Savoia sailing club were out in the Gulf and saw the exhausted puppy struggling to keep his head above water. Massimiliano Cappa and his crew encountered the frail Noodle doing its best to stay afloat for half an hour which was quickly losing strength. 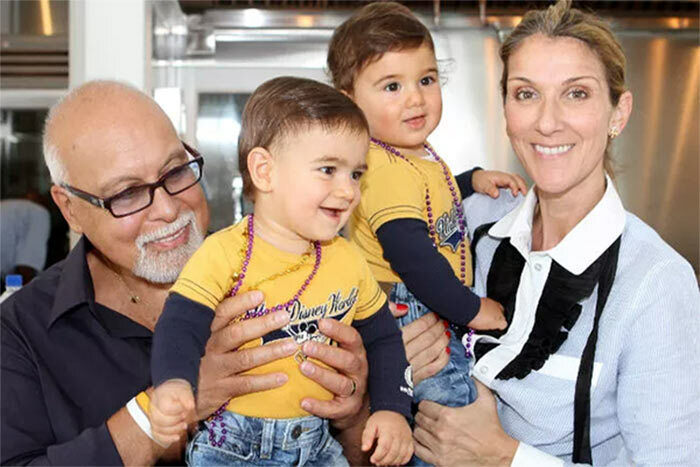 The crew of the vessel began calling and whistling to the sodden pup to encourage him to swim closer to the vessel so it will be easy for Massimiliano and the crew to pick him up. 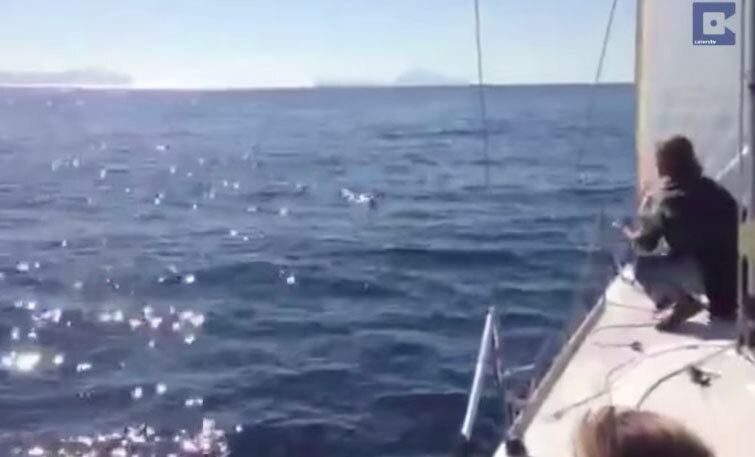 The moment they pulled him aboard, they felt his legs were almost paralyzed by the cold. He was trembling and whimpering fiercely. 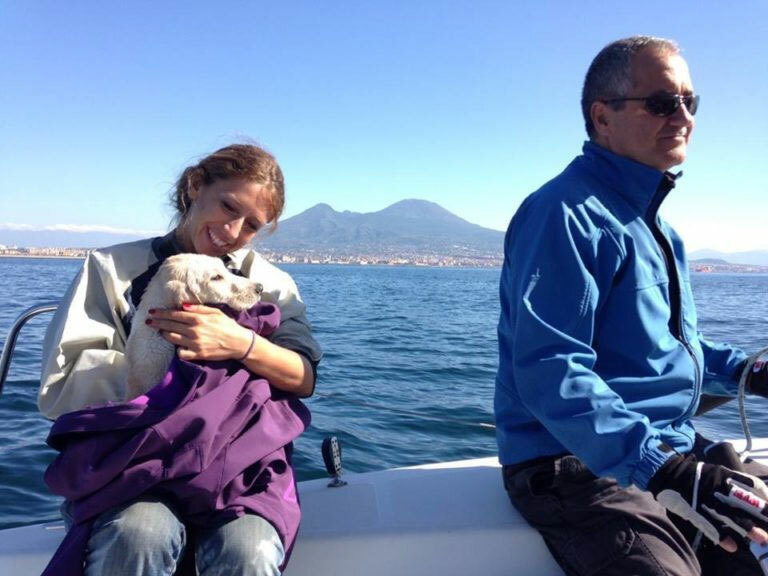 Poor Noodle was shivering badly so to soothe him, another member of the crew, Alessandra Cuocolo, held him close to give him some warmth as they headed back to shore. While taking the boat ride back to shore, three-month-old Noodle, took the opportunity to reflect on his experience. 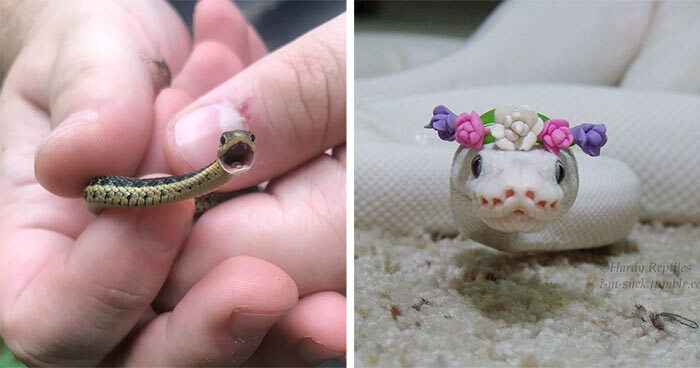 His owner shared that Noodle was on a leash yet he managed to wriggle his way out and skidded off the boat. Mario was thrilled that he could reunite with his puppy. No wonder, it is a miracle that Massimiliano and the crew happened to be in the right place at the right time plus Noodle turned out a good swimmer. Watch the video below and witness the thrilling rescue by a group of sailors. 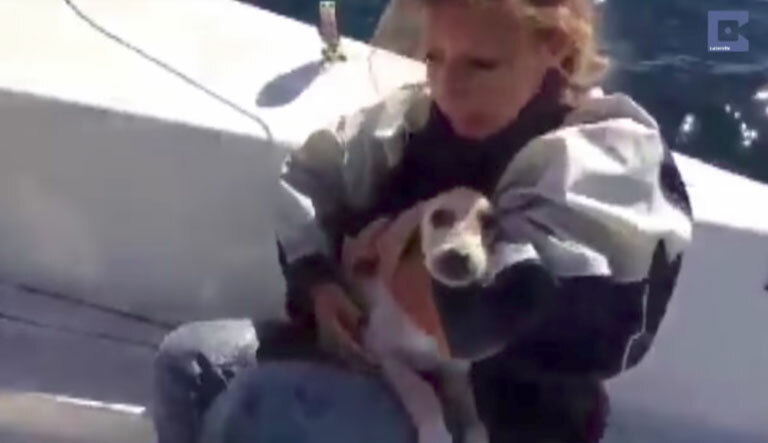 Share with your friends the story of this lucky pup and spread happiness.